Used Toyota Verso Review - 2006-2009 | What Car? 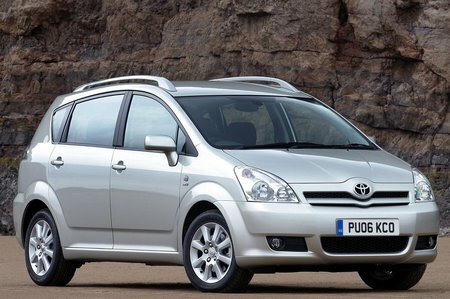 What's the used Toyota Verso MPV like? With a name like Verso you'd expect Toyota's MPV to be pretty versatile - and it is. The company's Easy Flat-7 seating system allows the middle row and two rear seats to be folded completely flat in the floor when they're not needed. The middle seats can also slide backwards and forwards to vary the ratio between legroom and luggage space. But, don't expect to carry seven adults in comfort, as the two rear seats are really for children only. On the other hand, the driver gets a good deal with rake- and reach-adjustable steering and a high-quality dashboard. Like most of its modern rivals, the Verso has a five-star Euro NCAP safety rating, but few competitors can match its build quality. Not many can come close to how well it drives, either. For an MPV, its handling is very good; with plenty of traction and little body roll, you certainly won't feel like you are driving around in a bus. And, the only complaint is that some may find the ride a little on the firm side.